All right let’s just get this out in the open right away. Yes, I watched Hines Ward on Dancing with the Stars. No, I wasn’t wearing my Hines Ward throwback jersey while I watched it. But how awesome was it that The Bus, Mel Blount and Franco Harris were there? Steeler Nation baby! Anyway, you know when you’re doing something and it feels like something is missing? Like watching highlights of the ’86 Series and not seeing Ray Knight run for home like a little girl after Buckner booted that Mookie Wilson grounder. That’s how I felt when I went upstairs after watching Hines on DWS to put Kinsey and Bailey to bed. They were up in our room watching Disney Channel. I walk in and tell them to turn the TV off and head to bed. Seemingly simple instructions. Except we have three remotes and the one for the TV isn’t in plain sight. Not pleased with her tone or that a missing TV remote makes it impossible for me to watch World War II in Color on The History Channel while falling asleep in bed, I respond by using the 70’s method of TV operation. I walked up to it and pushed the power button. Okay, first thing you need to understand is that none of the girls have inherited my ability to find things. Its one of my superpowers. I can find anything. 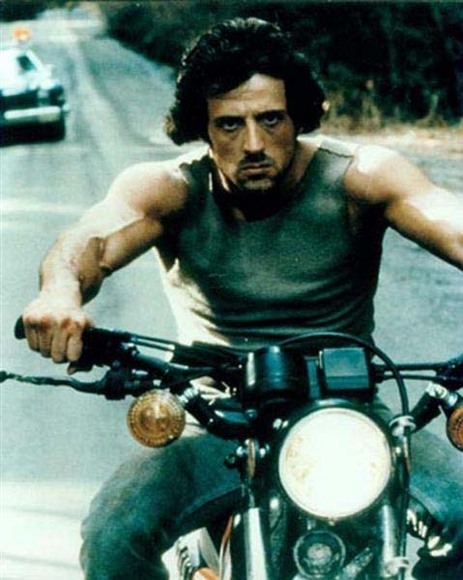 Its really sort of uncanny. The girls have instead inherited Mom’s somewhat underdeveloped detection skills. I’m not kidding. Mom’s search plan for something she’s lost usually goes like this – she walks into the room, stops, looks around for 3 seconds, doesn’t notice what she’s looking for and then wants to know why I moved whatever it is she wants. See that? I barely even tried. Bailey says things that make you chuckle all the time. But rarely has she ever successfully combined comment, tone and head shake as well as she did here. It might have been the funniest thing Bailey has ever said…and I have the remote back…which is nice. It’s spring break. That means not only do the girls get the week off from school, but we get the week off from activities. No drop-offs or pick-ups. I fully understand that I willingly signed up for all the logistics involved but good googly moogly have we enjoyed this week. This doesn’t even mention the fact that Kinsey has been gone since Wednesday afternoon. She went to the American Girl Doll store in Chicago yesterday with her cousin, aunt and Grandma. Two years ago Riley went. Now it’s Kinsey’s turn. In a couple years it’ll be Bailey’s turn. The best thing about Kinsey’s trip, as far as I can tell, is the fact I’m not there. I don’t think she minds either. Upon arriving at Grandma’s house on Wednesday she calls to tell me that her aunt plays way better music in her car than I do in my car. So real quick run down your favorites from the above group. Got ‘em? Shoudn’t have taken you more than 4 seconds because there’s not much to recall. Now…real quick run down your favorite Tesla, Poison and Def Leppard songs. Go ahead. I’ll wait. This’ll take awhile. Lots of awesomeness to sort through. Anyway, here’ s mine: Gettin’ Better, Ride the Wind, and Photograph. Go ahead and name a Ke$ha song that that compete. 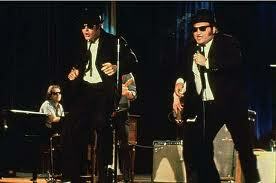 Jake and Elwood were on AMC this week. Do you watch it? I did. Can’t help it but sing along to their show at the Palace Hotel Ballroom. Anyway, things evidently went fine in Sweet Home Chicago. Which is different than how they went in our house. You’d think the fact that we’re not getting backpacks ready in the morning or doing homework at night would allow for a smoother departure process before work. Riley doesn’t take piano lessons but that hasn’t stopped her from repeated attempts at teaching herself. Mom showed her how to play “Heart and Soul” earlier this week. And I mean the piano song that everybody learns, not the cool Huey Lewis and the News tune from ’83 or equally as cool but lesser known T’Pau version in ’87. This morning Rye thought it would be fun to teach Bailey. If I had had some type of club, or preferably a medieval mace, that piano would be splinters. 1-Memorial Day. Personally, I think everybody should be required to watch Saving Private Ryan on Memorial Day. Plus you can’t even say it without your mouth watering over grilled burgers and cold beer. 2-Opening Sunday of the NFL Season. What? It’s a holiday. Let’s just hope it still is in September. 3-Pulaski Day. I’m Polish. It’s a big deal. Casimir Pulaski was a hero of the American Revolution. Look it up. Calculate this equation: Take a workload at the office that is ramping up for Mom and I, add some household maintenance that we’ve put off…then add a lost iTouch Friday afternoon…what do you get? Well, in our house, you naturally end up with your 3rd grader having three friends over for a sleep over because everybody knows fatigue’s best buddy is high pitched shrieking. I don’t know about you but Friday was the first time I conducted a thorough search and find mission for an iTouch (although I’m damn sure it won’t be the last). It was also the first time said mission immediately preceded the doubling of the amount of girls in my house. I was out-numbered 7 to 1. That kind of ratio in your own house was pretty cool in college…now…not so much. Anyhow, I pick up Rye and Bails from daycare after school – leaving Kinsey behind. Why? Well, my vehicle isn’t big enough to transport our three girls plus Kinsey’s friends. So on our way to taking Rye from daycare to an orchestra evaluation/performance we pass Mom who is on her way to pick up the band of 3rd graders. Pick-ups and drop-offs go smoothly…right up until I’m driving home with Rye after her orchestra deal. Now she’s in full-on composure melt down. 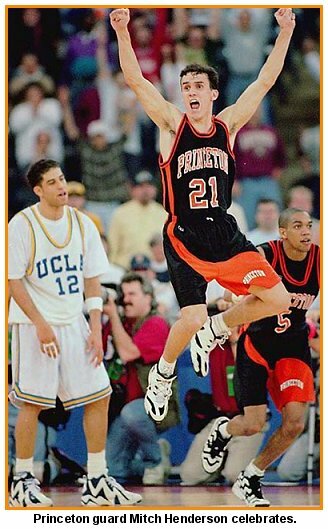 And not in the cool Gus Johnson calling Princeton’s game winning lay up versus UCLA in the ’96 tourney kinda way. I actually had to blink and grit my teeth because the sound wave actually moved my brain inside my skull. It was like she was trying to shout through sound proof glass. We zip back to daycare, enlist the help of the director and do a full grid search of the bus. Nothing. No evidence in or around her cubbie inside either. Although trying to find something at daycare on a Friday afternoon is like trying to get the NCAA selection committee from overseeding Kansas. Back into the truck and we run to school. First stop the band room. Rye rushes in. We give the piano and area immediately surrounding the piano a thorough examination. Absolutely no gaps in our lines. So unless the iTouch went and pulled a Peter Pan right here off of this dam like Richard Kimball…the iTouch isn’t here. We walk down the hallway she traveled to get to the bus. Take a quick detour to check her locker and her classroom. We check the sidewalk and grass near where she got on the bus. Back into the school we make a quick left turn into the office. The lights are on and we hear voices but its just some volunteers getting ready for the carnival and they haven’t seen an iTouch. “But what am I going to do? I have nothing to do,” says Riley with tears and whimpers. I don’t think she was faking either. She was really, really upset. But this is a good lesson for her to take care of things that are important to her. I chose not to respond mostly because I couldn’t decide whether to laugh or be disgusted. So I just raised an eyebrow remained silent. Second to last thing – I was really looking forward to going out to my favorite restaurant Friday evening and decided that I didn’t care if Mom and I had to lug along 6 girls instead of 3. But that was before the desperate but unsuccessful iTouch rescue mission. While we’re eating, Mom takes Rye, Kinz and two of her shriekilicious friends to the bathroom. I’m sitting with Bails and the last of Kinsey’s friends. Bails is concerned about the girls letting her play with them. “Yeah, I signed my whole name,” Bailey confirms. “Wait you drew up the contract to govern the amount of time Bailey could play with you?” I ask in that all too familiar astonished yet curious albeit slightly pleased tone of voice. Last thing – We explained to Riley that we weren’t replacing the iTouch. If she wanted a new one then she’d have to earn the money and pay for it herself. Tough crappy lesson to learn but that’s the way it goes. We felt a little guilty by Sunday night. Why? Well, not because we wouldn’t replace it but because we were kinda happy she lost it. Rye became so intent on earning cash to replace it she wanted extra chores. So we taught her to do the laundry. Mom said for every load she washes, dries, folds and puts away, she’s gets a dollar. But then I got an email from the school secretary this morning saying that one of the teachers found the iTouch outside where the kids get on the buses and brought it into the principal’s office. Rye picked it up after school. So we’re back to doing the laundry…. One of the tips that so called parenting experts tell you is that children need routine. They need consistency, clear expectations and good examples. I think most adults could use the same thing but that’s an entirely different rant…err blog post. We’ve been parents for a little over 11 years and have found that each of these tips, while helpful and necessary, are far easier to talk about on talk shows than they are to implement in our house. Something always interferes with our plans. Kinda like when the caterpillar drive went out on the Red October and Capt. 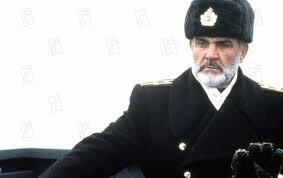 Ramius had to use normal propulsion. Everyone in nearly every endeavor strives for consistency. Not everyone succeeds. For every Pittsburgh Steelers you have a Cincinnati Bengals. For every JJ Abrams you have M. Night Shamaylan. For every Calvin Coolidge you have Martin Van Buren. Anyway, we’re having what is politely referred to as “issues” with our morning and after school routines. The main problem, as far we’ve been able to determine, is that we lack one. Routine, in most places, is thought of as a habitual, everyday series of behaviors in which one engages. In our house an acceptable consistent routine is more elusive and harder to find than a good Ben Affleck movie. Bailey regardless of what clothes we have laid out for her will ask if she can wear short sleeves and/or shorts. Doesn’t matter if it’s 20 below. Of the three, Kinsey may the closest thing we have to a morning person. She’ll get up after some encouragement, get dressed, brush teeth and hair and eat her breakfast pretty smoothly. Her biggest problem is that her fuse is pretty damn short before 7 a.m. and her sisters are completely aware of this fact. So, I pick them up after school and decide to address our situation. If you are following chronologically, you’ve noticed that I skipped right over Kinsey. Like I said, aside from her temper’s lightning fast reactions, she really doesn’t do anything in the morning to cause problems. However, after pointing out what happens with the other two, she expectantly asked what it was that she did in the morning that made me mad. Instead of taking credit for finishing last in the morning problem creator rankings, all that mattered to her was that she was being left out of the discussion. It was irrelevant to her that her omission was a good thing. “What are deadlines?” Riley asks. So we’ve only had two school day’s worth of data to collect on our new routine/deadlines but the initial results are promising. Of course people had high hopes for the Pelosi-led hippie Congress a few years ago too.